Mini cruiser Amorena brings together truly unique charter experiences and extraordinary levels of service to craft your luxury sailing vacation in Croatia and Montenegro. Measuring 44 meters in length, Amorena accommodates up to 40 passengers in 19 comfortable cabins, including 3 double bed cabins and 8 twin bed cabins located on the main deck and 8 double bed cabins situated on the lower deck. All cabins are equipped with LCD TV, safety deposit box, wooden paneling, safety and fire alarm installations, air-conditioning and private en suite facilities. No detail has been spared to provide contemporary amenities and sophisticated furnishings of the yacht's interior areas, dominated by the main salon. Situated on the upper deck, the salon is fully air-conditioned, featuring a vast seating area with a bar and an elegant dining area with enticing daily menus. Ample exterior spaces offer a covered aft deck and an extensive sundeck, perfect for sunbathing, entertaining and al fresco dining. Apart from the usual water toys, a number of water sports activities such as Jet Ski riding, cycling, rafting, diving and fishing can also be arranged upon request. From the moment you step aboard, you will be pampered by 7 highly professional crew members who are committed to setting a new standard of luxury charter service. 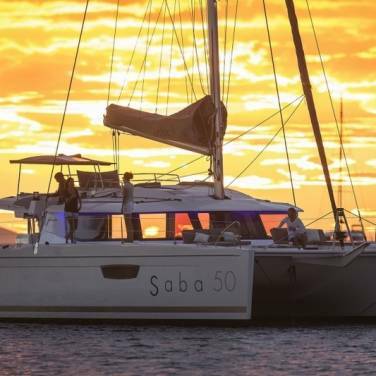 Due to its versatile layout and flexible accommodation, motor sailer Amorena is suitable for a range of occasions, from team-building events and corporate cruises to luxury weddings, combining exquisite settings and inspiring scenery. 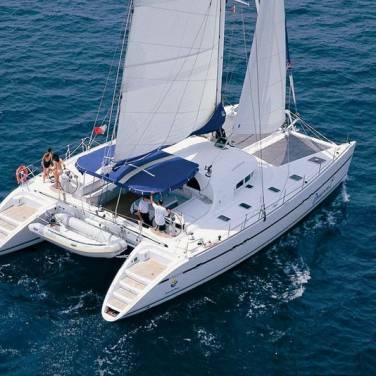 It can be chartered on a weekly basis and you will have the opportunity to choose among different itineraries that provide access to some of the most beautiful islands of central Dalmatia as well as to the breathtaking destinations in the south of Croatia. With daily excursions to Budva, Cetinje and other popular holiday destinations, this motor sailor also offers the possibility of visiting Montenegro. 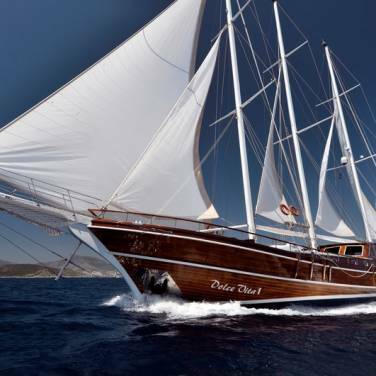 Chartering luxury motor sailer Amorena is a wonderful way to explore the Adriatic coast, where splendid sailing adventures await. Half board (breakfast and lunch) – 320 EUR person/week. Half board includes dinner first night of cruise and Dalmatian dinner last night of cruise.